Earlier in the year we were approached by the bar staff of the BrewDog bar in Camden to brew a collaborative beer with them. The collaboration was part of a new project BrewDog and all of their bars were doing called Collab Fest. The idea was for each of the UK bars to select a brewery to brew a beer with and have all of these beers release in all their UK bars on the same night, the 19th Oct. All the brewers were also invited to the Brewdog brewery in Ellon to brew one big collaborative beer. The event was a success in our eyes, with some great beers brewed. So early September, along with the Camden bar staff, we decided to brew a medium ABV pale, with at least 30% wheat malt, Willamette, Cascade and Centennial hops and a clean US yeast. 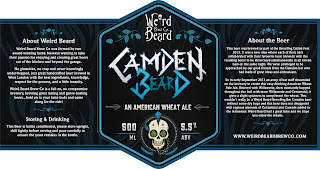 During the course of the day the naming of the beer was discussed, and together we came up with the name Camden BearD. 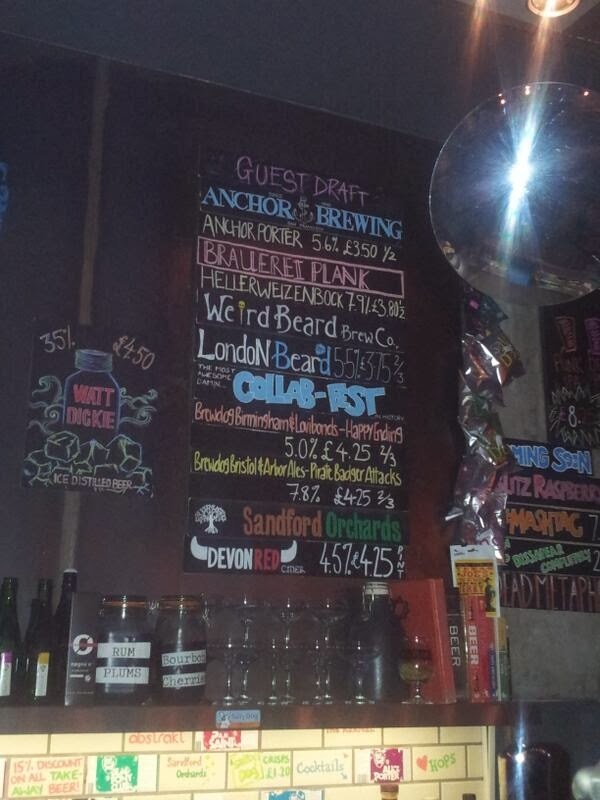 Notice the B & D in BearD are both capital, this was meant to be read as Camden BD, as in Camden BrewDog. To be honest, none of us even made the link to Camden Town Brewery. If we had, we may have reconsidered. But Camden Town Brewery took exception to the name, and on 21st Oct wrote an email to James Watt of BrewDog. At this point it’s worth remembering that this beer was a collaboration with the staff from the bar, and had nothing to do with BrewDog themselves. This is 100% a Weird Beard beer that had been sold to many other retailers and not just BrewDog for their festival. If Camden Town had done their research at this point, they may have realised this and contacted us directly, but they didn’t. If they had contacted us in a polite manor, we may have reconsidered the name. James’s response was to get the bars to change the name to London Beard. But for some reason didn’t suggest that Camden Town Brewery contact us regarding the name of our product, or did James contact us directly either. 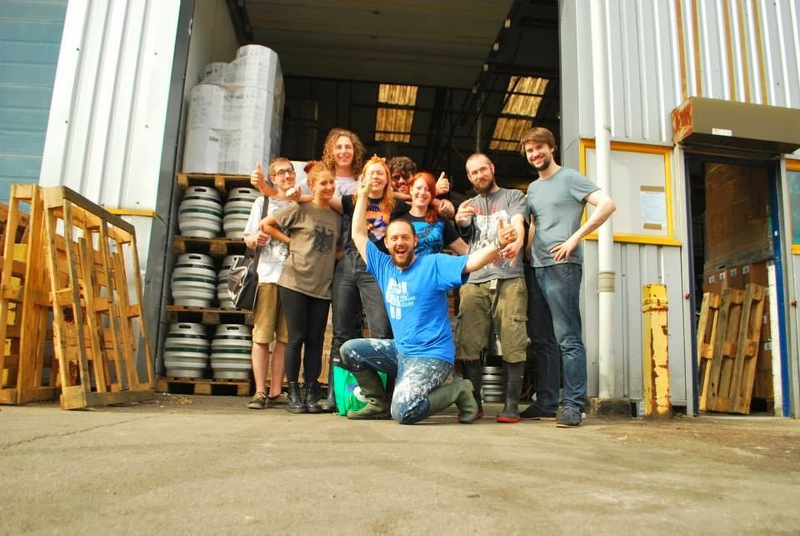 Camden Town Brewery and BrewDog are a couple of pretty big, well established breweries, with plenty of collaborations under their collective belts. They should know how these things work in regard to is responsible for and whoo names the beer. Rightly or wrongly it felt like two big guys ganging up on the small brewery, and for some reason at no point did they think it was worth talking to us, which i find insulting. While all this was going on, we heard rumours that Camden Town Brewery may be upset with the name. But we are not one to act on rumour, and we thought that if they did have any real issue they would have the decency to talk to us. The issue became very clear to us when I went into the BrewDog Camden bar and saw our name on the guest beer board with the words London Beard underneath. I personally complained to the bar staff, who were very sympathetic, but said they had been pretty much ordered to make the change. 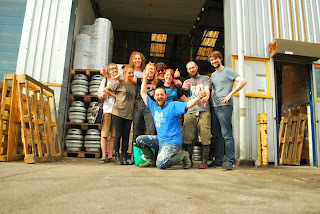 So we took the initiative and on 27th Nov and contacted James Watt to ask for an explanation, who apologised and in late December when back from honeymoon agreed to change the name back to Camden Beard (to much rejoycing from Gregg and the staff at Brewdog Shepherds Bush who had the beer on at the time) and direct any further complaints from Camden directly to us. We really like this beer, and decided to add it to our occasional brew rotation, and re-brewed it in mid November. We had the labels paid for, printed, and on a number of bottles, when on 18th Dec we get an very aggressive email from Camden Town Brewery demanding we recall the beer, and referencing the conversation he had with James Watt as an indication the name had been changed. We responded stating that the beer had been sold to many retailers over the past 2 months, and this could have been resolved months ago had he bothered to contact us. We also stated that we have no intention of recalling the beer, as we feel the branding of the beer is distinctly different to Camden Town Brewery, and we question their ownership of the word Camden. But after seeking legal advice, we decided we could not afford the costs of this going to court. So we agreed that we would change the name, but would not be recalling any beer. Camden Town Brewery reinforced how seriously they take trademark infringements, and how they will not stand by and allow other traders trade off the reputation of their brand. This implies that they think that we have chosen the name in the hope that people will confuse our beer for one of theirs, which is both amusing and insulting. But it was agreed that by changing the name of the beer the matter could be put to bed. It was with great regret that we decided to change the name of this beer, as it already has a reputation, and it looses it’s reference to the great guys at BrewDog Camden who were a huge part in making this beer what it is. But we felt we should change the name for several reasons. We don’t believe Camden Town Brewery has any claim to the word Camden, and I think they aren’t 100% sure either, as on 24th Dec they applied to trade mark the word http://www.ipo.gov.uk/tmcase/Results/4/EU012464335, even though previous communications implied they already owned this. But, as they have been using the word in many of their products for some time now, it was decided they may have some claim to it, and it may come down to who ever was overseeing the case on the day. We are a very small young brewery, and we do not have money to risk on this. 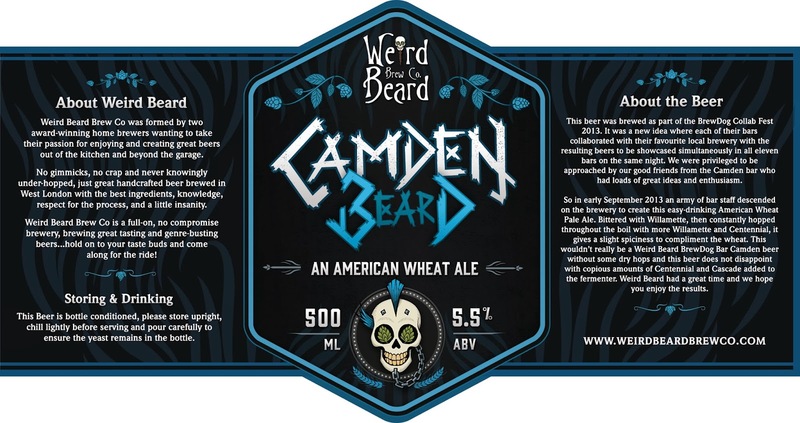 There is also the possibility that people may think this is a collaboration between Camden Town Brewery and Weird Beard, and to be honest, right now I do not want people to think we would be associated with them. So what to call the beer? That was easy! K*ntish Town Beard. Read into this what you will, but the official line is that the beer is called Kentish Town Beard, as Camden Town are actually based just under Kentish Town West station, and we are renaming it in their honour. The asterisk is in Kentish just in case they decide they own that too. We are hugely disappointed that this all had to turn out this way. A few polite phone calls right at the beginning could have sorted this out with no hard feelings at all. We are only publicising this how we have because we feel with have been treated very unfairly by two of the supposed big players in the 'craft' beer world, and we thought people had the right to know. We also had to explain the sudden name change. We thank you for all the support we have had on this, and hope you all continue to enjoy the beers produced by all of the great breweries in the country right now. All views, except those edited by Gregg, grammatical & spelling errors in this blog are those of @weirdbeardbryan, and not necessarily those of the Weird Beard collective.